The official report from ASTO. 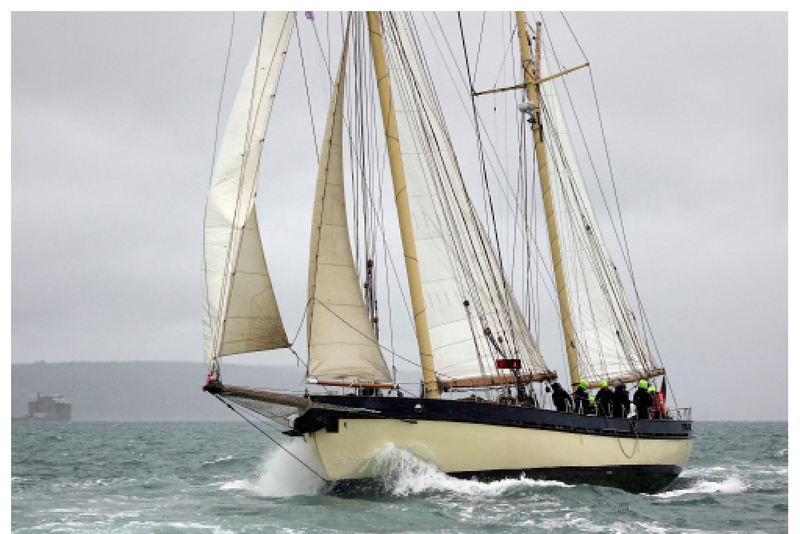 In between the thick fog and the gale-force winds the Association of Sail Training Organisations (ASTO) managed to fit in its 15th annual Small Ships Race on Saturday. At the prize giving ASTO Chairman James Stevens said: "The wind today was Force 6 and sailing in that is an achievement; huge thanks to the Skippers and Mates for getting you all back safe". This prompted a very loud cheer from all the trainees in the room. The Richard Langhorn trophy, which is voted for by all vessels who take part and is for the 'spirit of the race', was won by the all girl crew of Merrilyn from the Rona Sailing Project in Hamble: when not dancing to 'Girls Just Wanna Have Fun', they lined up on the side deck of their ketch and sang when any other boat got near enough to hear them. 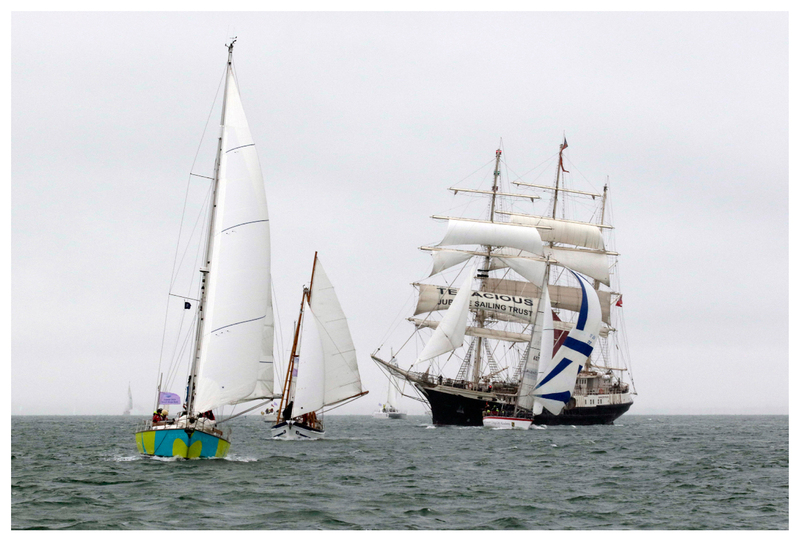 As a backdrop to all this Small Ships sailing, 3 masted barques Lord Nelson and Tenacious operated by Southampton charity the Jubilee Sailing Trust, started their first ever Cator Trophy in the same waters. And if there weren't enough Tall Ships to be seen under sail, they were joined by the Sea Cadet brig Royalist which chased them down the Solent and out past the Needles lighthouse. ASTO is always looking for more young people from the Isle of Wight to take part. If you work with a local school or youth group that would love the opportunity, please contact us on office@asto.org.uk.